This tutorial shows how to install Opera browser in Ubuntu 13.10 Saucy Salamander or Linux Mint 16 Petra. Opera is a web browser developed by Opera Software. The latest versions of Opera use the Blink layout engine, which is used in Chrome v28+. 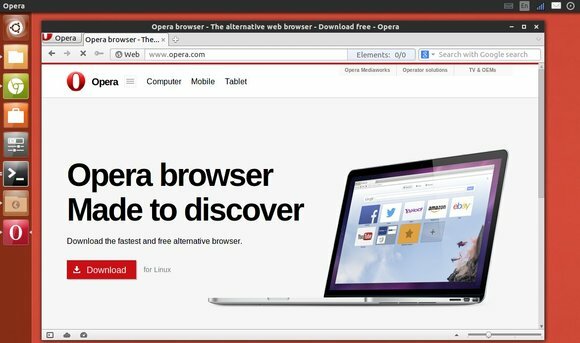 The latest Opera 12.16 for Linux is a recommended upgrade offering security and stability enhancements.